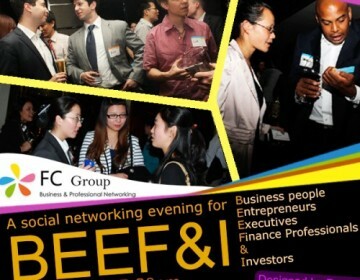 The FCGroup provides professional social networking events in Beijing and platforms for connections and guanxi to leverage and focus business and career objectives. The group is the central hub of a large network of business and professional people who meet to forge new contacts and strengthen existing contacts for business, career and social purposes no matter where they came from. 1. What is the FC Association about? The basic concept is that it in order to progress up the ladder to achieve one’s goal the bottleneck is not what you know, its not who you know, its who you know that knows that you know. This goal is only obtainable by attending quality networking events where people are interested in listening to each other not in talking at each other. The venues are carefully selected to ensure that they too are of a suitable quality and can provide the fitting atmosphere and ambiance to encourage both successful networking and networking for success. The FCGroup™ provides a unique platform of industry themed networking events at which the art of small talk becomes the stepping-stone to big business. The FCGroup’s events are open to one and all who are able to converse in English and attract an equal number of English speaking Chinese and English speaking foreigners. 2. Can you tell me the story of the Association in Beijing? I started organising networking events in Beijing in March 2007 because I enjoy meeting people and found that there was nothing existing that provided what I wanted – an opportunity to meet people without restriction of nationality. 3. What do you do, when and where? 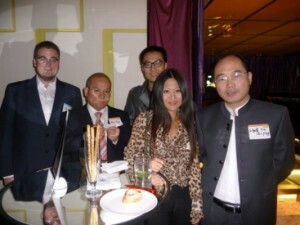 We meet every Tuesday in some of the best hotel bars and clubs in Beijing. We are currently using the Hilton Wangfujing, The Hilton Beijing, The Fairmont etc… All our events are industry themed. The 1st Tuesday of the month “Anything Goes” is an Interdisciplinary event, 2nd Tuesday “HR meets Applicants” is an opportunity for job seekers to meet staff seekers, the 3rd Tuesday of the month is for the Creative Industries and the 4th Tuesday of the month is for Business People, Executives, Entrepreneurs, Finance Professionals, Investors and Lawyers. 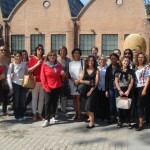 We also arrange “Escape Concrete Beijing” daytrips on weekends. 4. What type of people are members? Who can join FC Group? Membership is free and all are welcome. People only need to pay for events they attend. The language of communication is English. 5. What are your main values, tasks and future objectives? To help people make strong and useful connections. Too many to list. Range from people getting new jobs, new staff, business partners, investors, and even life partners. 7. How do you help foreign people living in Beijing? By providing a warm, friendly and supportive environment for people to both relax and make contact with other expats and English speaking Chinese. 8. Why would you recommend expat families or young people to be a part of FC Group? Expat Life Awards 2016: SCOUT Real Estate, BEST Real Estate agency!